If approved, the project will extend over a total distance of approximately 560km between the N2 Gonubie Interchange and the N2 Isipingo Interchange (south of Durban in KwaZulu-Natal). An additional 25 tolls will be added to the route, most of them in KwaZulu-Natal. The road will bypass towns like Kokstad and Mount Frere which are currently on the route and therefore they stand to lose the benefits from passing motorists. The EIA divides the route into segments as it outlines both positive and negative impacts of the road as it runs along the coast. For example, between Ndwalane and the Ntafufu in the heart of the Transkei, the report acknowledges that there will be a “loss of sensitive habitats” during construction, as well as “faunal impacts with loss of faunal diversity and loss of species of special concern”. It also notes the impact on environmentally sensitive areas due to increased access to these areas by tourists. These are just a few noted concerns, and they are balanced in the report by positive points, which include increased employment opportunities, improved safety for road users, and a general increase in tourism and tourist facilities after the number of people travelling through the area increases. 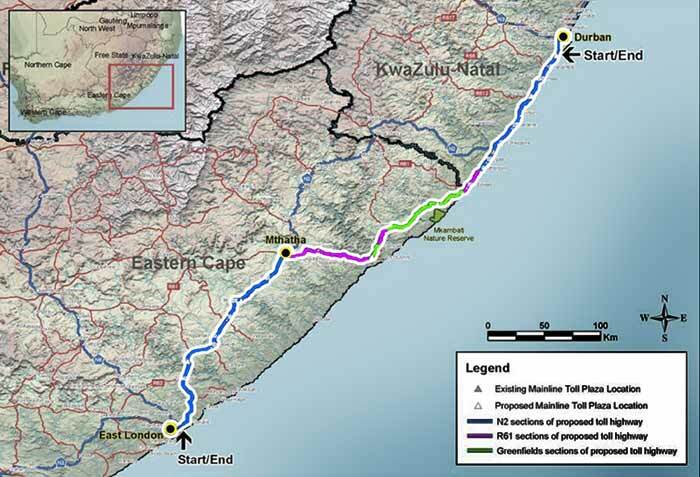 Closer to Gonubie, the report notes a risk to the water quality in the estuary during the operational phase, but then adds that on a positive note there will be an impact on the development of a nodal point at Mooiplaas. There has been a huge reaction to the N2 Toll Road since the project was first raised and the new EIA took into consideration submissions from interested and affected parties. Almost all the submissions from Kwa-Zulu Natal (97.6 percent) were negative towards the tolling of the Upper South Coast, whereas only 8.5 percent of submissions from the Eastern Cape addressed the tolling of motorists. “Border-Kei Chamber of Business is on record as endorsing the toll route and supporting it, as long as due consideration is given to the environmental impact of the road,” BKCOB chief executive Les Holbrook said yesterday. On the opposite side of the spectrum, long-time Port St Johns’ resident John Costello said that while he had nothing against development as such, he was concerned about what such a massive construction undertaking would do to the sensitive forests and waterways of the Transkei. 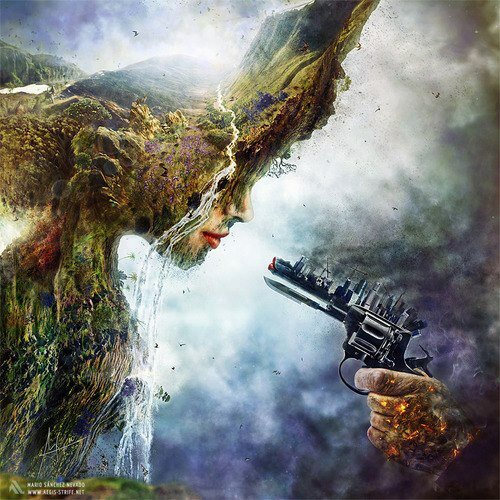 “The factual reality is that what was, is rapidly disappearing and no- one is doing anything about it,” Costello said of the fragile ecosystems that he had seen slowly degrading over the past 30 years. Cut through Xhosa homelands. Zulu president. Recipe for conflict! once they take the transkei we'll never get it back. i've lived in the kei, but you wouldn't know it, because i left nothing behind. i lived with the locals and i left. i did not overstay my welcome. Our government (mis)conduct leaves me lots for words. This is an unethical destruction of precious innocence for profit. The traffic in the province is a mess. The roads are dangerous and this is evident by the number of fatal accidents in the province. The inconvenience and lost man hours are inexcusable. One cannot conduct business when you can't get tot the markets.